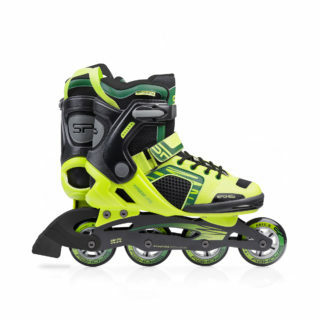 Fitness inline skating is not only beneficial for your condition but also allows users to have direct contact with nature. Inline skates are a summer equivalent to skates (from spring to autumn both the hockey players and skaters train inline skating), hence the posture and movements are very similar to those during ice skating. Leg and hip muscles work intensively, with simultaneous involvement of back and hand muscles. 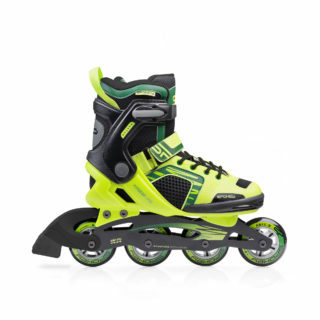 Fitness inline skating is beneficial both for persons starting their adventure with inline skates and for those who wish to supplement their competitive training. 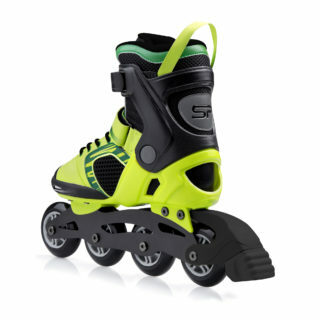 Spokey Scythe in-line skates were designed with the most demanding users in mind. Technical parameters were adapted to take most pleasure from inline skating. When you choose the inline skates, you should pay special attention to the runner. 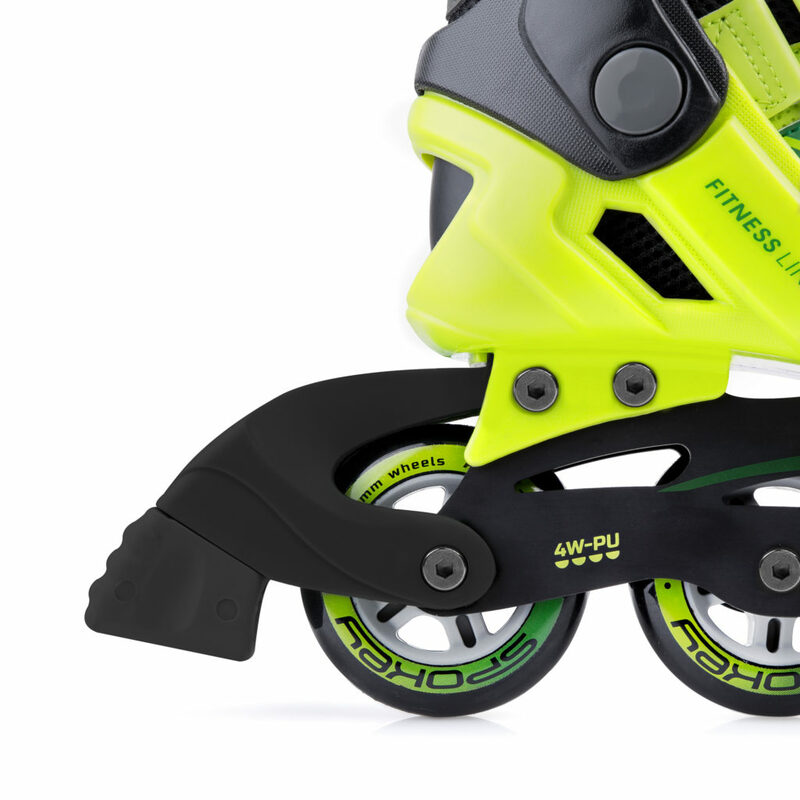 Scythe model offers the aluminium runner, which guarantees durability, with very low weight. The wheels were made of durable PU material with the diameter of 80 mm and hardness of 82A, which is optimum for recreational inline skating. 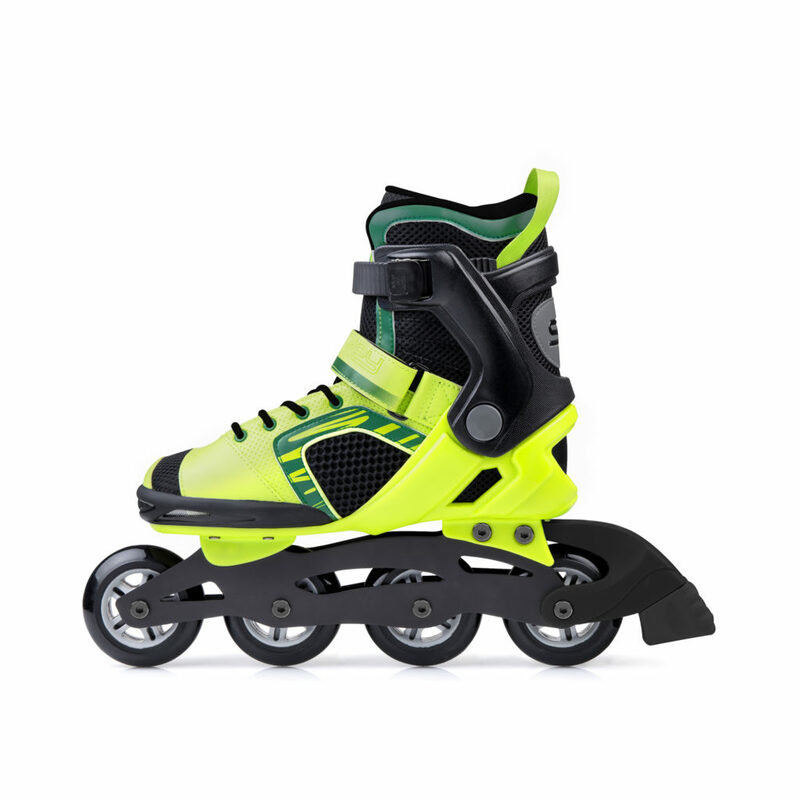 ABEC9 Carbon bearings guarantee the highest manufacturing precision, good service life and high skating speed. Triple fastening system: laces, velcro and two-section buckle guarantee not only adjustment to the feet, but – above all – the highest safety level. A special profiled insert was used in the Scythe model. 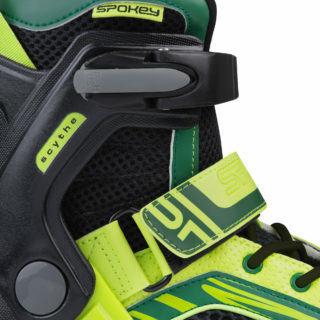 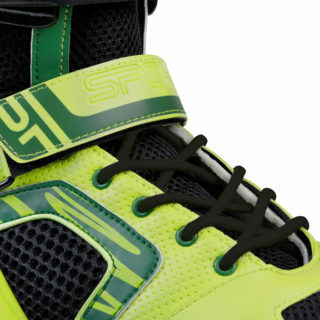 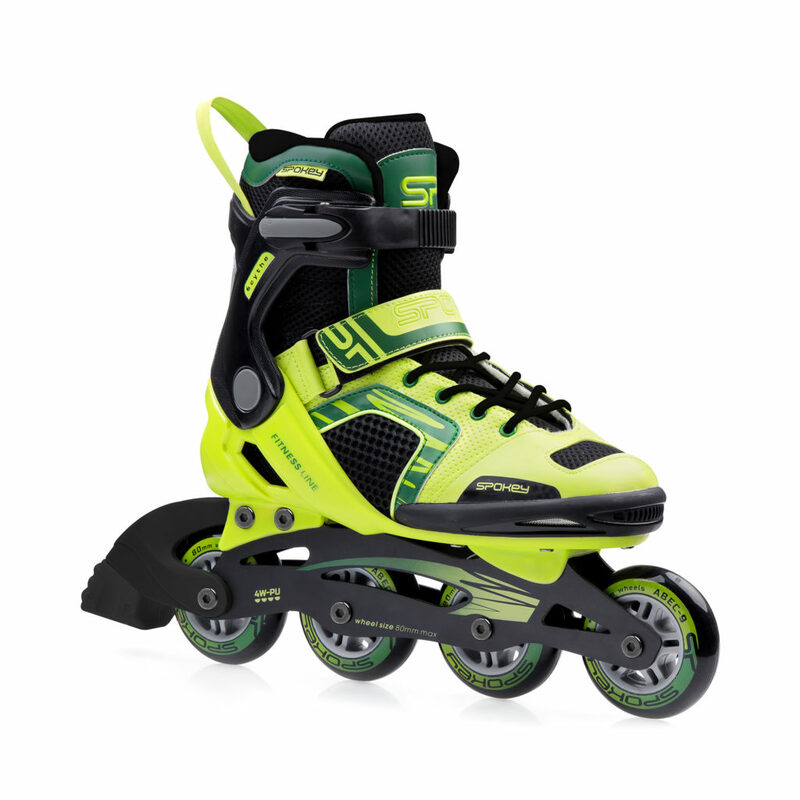 Combined with the soft lining of the shoe, the level of comfort of using the inline skates is considerably increased.